The original Nintendo Entertainment System is affectionately called “the toaster” due to the way the cartridge is inserted. [MrBananaHump] decided to take things a bit literally and installed a NES inside an actual toaster. 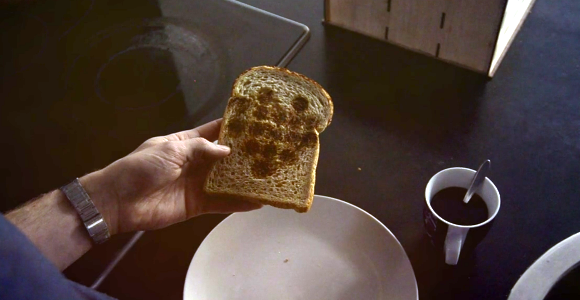 This isn’t [MrBananaHump’s] design, the Nintoaster comes to us from [vomitsaw], who also built the SuperNintoaster. Since [vomitsaw] was kind enough to document his original build, [MrBananaHump] was able to build upon it. The target toaster for this build was a plastic Sunbeam model found at a thrift store for $5. [MrBananaHump] gutted the toaster and cleaned out years of toast crumbs. The Nintendo mainboard would fit perfectly inside a toaster, except for two things – the RF Modulator and the expansion port. The expansion port was never used in the US version of the NES so it can be desoldered and removed. The RF also needs to be desoldered and relocated. By far the biggest job in this casemod is hand-wiring each of the 72 pins for the cartridge port. It’s a tedious job, and it probably won’t look pretty. Keep your wires short, and things will probably work thanks to the relatively low clock speed of the NES. The cartridge goes in one toast slot. [MrBananaHump] mounted his controller ports, power and reset buttons in the second slot. A bit of expanded metal grid completes the slot. Sure, it’s not exactly pretty inside, but with the case on, this becomes a rather nice looking build. We’ve seen numerous Nintendo casemods over the years, just one other example is this N64 in an N64 controller. 2014 was the year that the Internet of Things (IoT) reached the “Peak of Inflated Expectations” on the Gartner Hype Cycle. By 2015, it had only moved a tiny bit, towards the “Trough of Disillusionment”. We’re going to try to push it over the edge. Depending on whom you ask, the IoT seems to mean that whatever the thing is, it’s got a tiny computer inside with an Internet connection and is sending or receiving data autonomously. 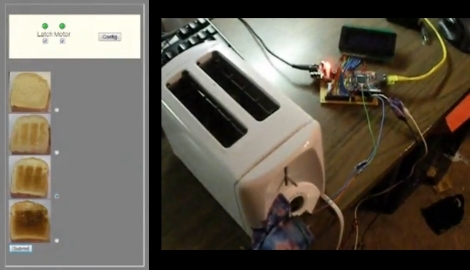 Put a computer in your toaster and hook it up to the Internet! Your thermostat? Hook it up to the Internet!? Yoga mat? Internet! Mattress pad? To the Intertubes!